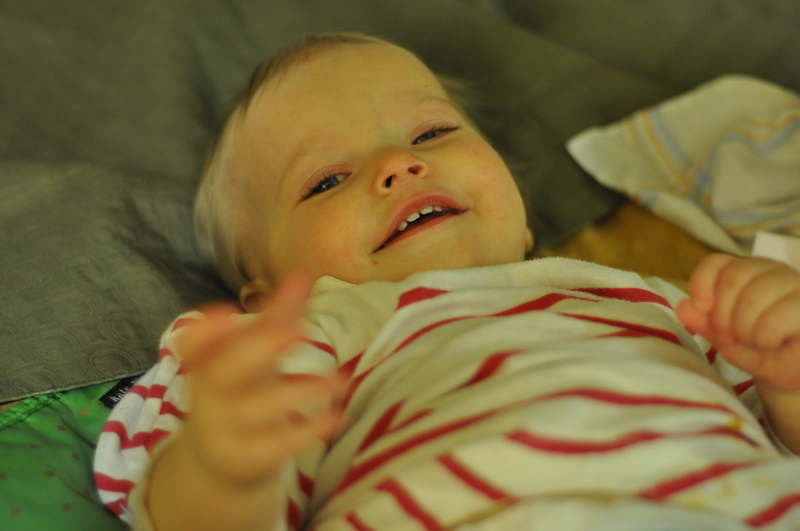 Della is almost one year old. 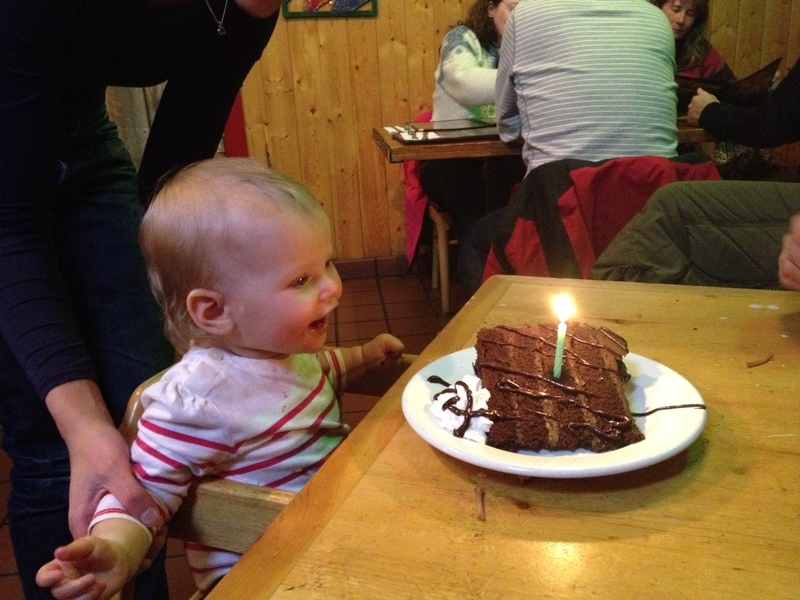 To get her in shape for the actual day, we gave her this warm-up piece of chocolate cake at Harley and Taco’s. She sugar shuddered after the first bite. Of course we visited Della’s #1 fan, Nanny June. 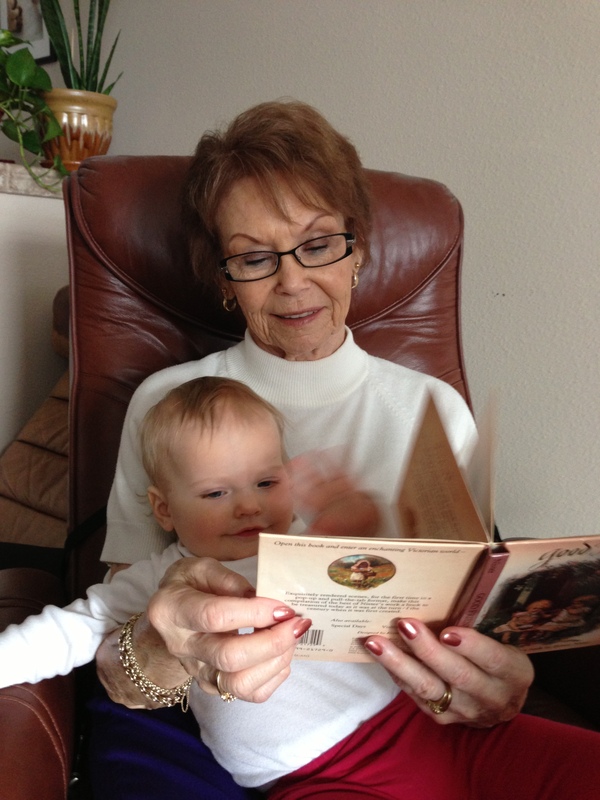 Nanny gave her a pet pig (fake) and told us the story of her pet fawn (real). Everybody did a good job the day of the service, including Della, who was well behaved at the babysitter’s house. One of the babysitters was about my age with brown hair, and apparently that’s all it takes to replace me. 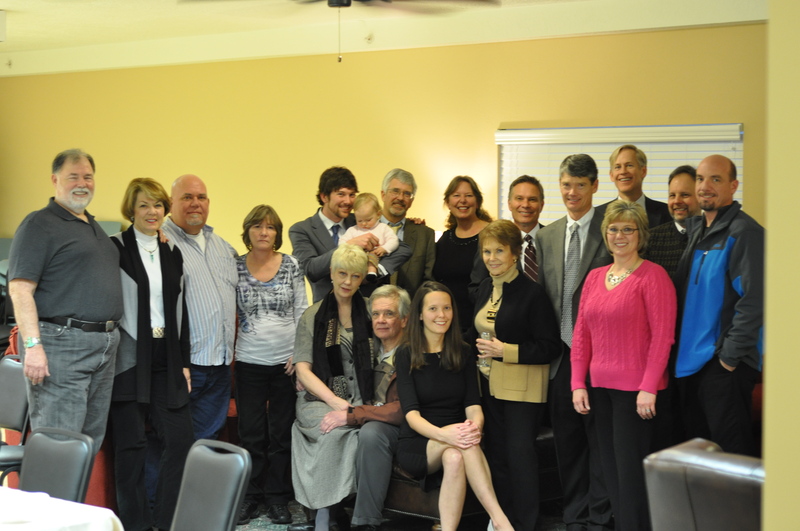 Here is a group shot taken at the reception. 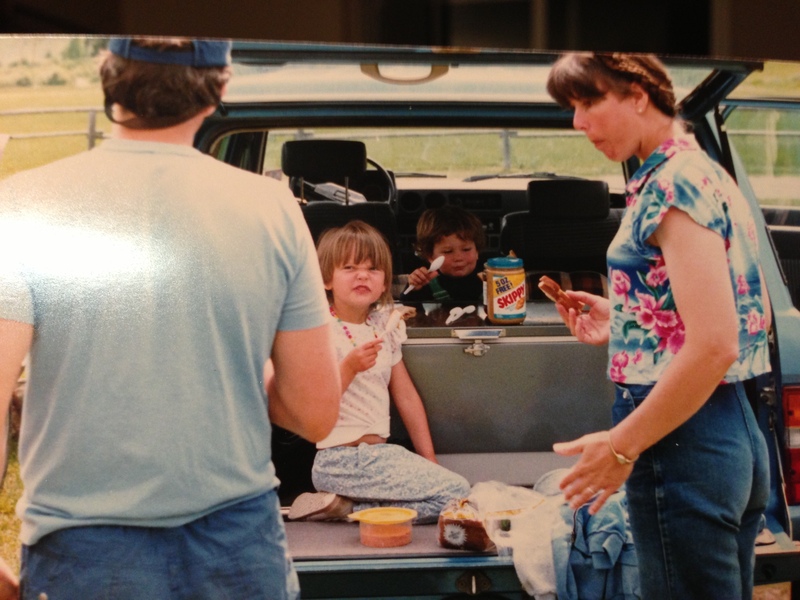 I’m told that Della is holding a flask, but I can’t really see it. Real quick: Della and I had our own Super 8 motel room afterwards, and it was a total party starting at 5:30 am. 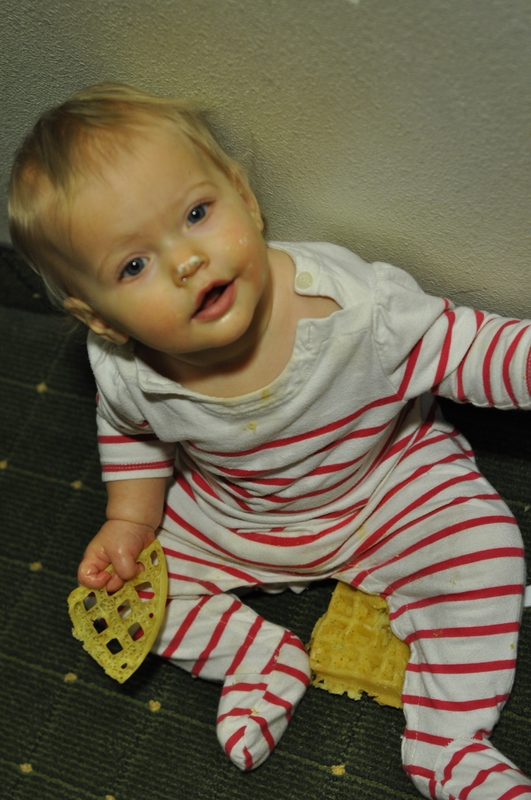 Waffles on the floor, butter on the nose, dancing to the indie kids station on Pandora, a bath, a nap… all before Mike and Paul woke up. Okay, almost done. 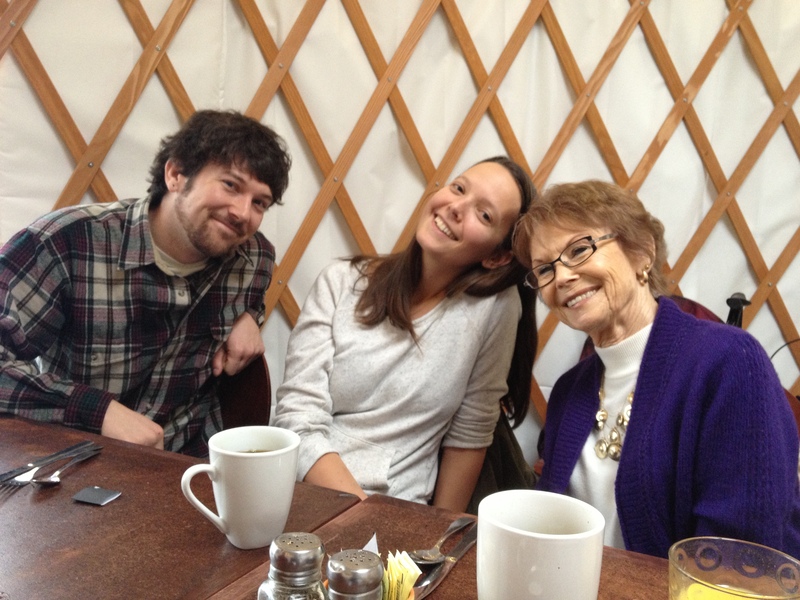 We went to The Roots for brunch, got seated in the yurt. We love you, Nanny. Hang in there and we’ll see you soon. Oops, one more. This is me making a Della face.